Dr. Craig Lambert from the University of Southampton, discusses how the English army, its weapons and horses, were transported to France, and how all were landed safely. Assembling an army transport fleet is a major undertaking. Arguably it was the most difficult task faced by any medieval English government. English records show that there were more than 200 ports in the kingdom, and large fleets usually consisted of vessels requisitioned from eighty of these. In terms of manpower the naval dimension of any campaign was significant. 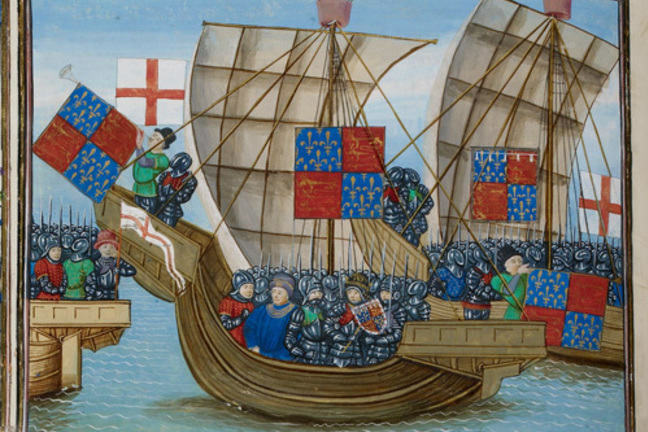 In 1346 it took 16,000 mariners to transport Edward III’s army of 14,000 men to France. In 1415 it is likely that the numbers of mariners paid to transport Henry V’s army equalled or surpassed the forces they shipped. 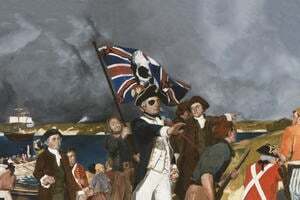 As the crown was required to pay the wages of seafarers preparing a large transport fleet generated a large documentary archive consisting of navy payrolls. Payrolls from 1320-1360 still exist and are a good source of information for historians. However, from the late fourteenth century the crown ceased to record the payment of mariners’ wages through the royal wardrobe and consequently after 1380 this source becomes less useful for investigating naval operations. Navy payrolls usually reveal the size and composition of the fleets and in most cases they record, for each ship, its name and port of origin, the master’s name and crew numbers, the dates it was in service and often its tonnage. At the core of any naval or transport fleet were the king’s ships. By the end of his reign Henry V possessed thirty-six vessels. The responsibility for maintaining the king’s ships lay with the Clerk of the King’s Ships. In 1415 William Catton held this office. As the Clerk of the King’s Ships was required to audit his accounts at the exchequer we have a detailed record of the king’s ships, including construction and maintenance expenditure. Under Catton there was a dramatic development in the size of royal ships. Most famous was the 1,400 ton Grace Dieu which was started in 1416 and was the largest warship to be built in Northern Europe at that time. Other large ships were also constructed. 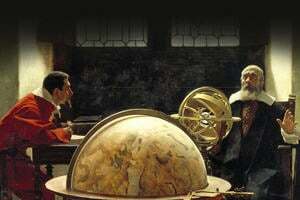 The Jesus of 1,000 tons and the Holy Ghost of the Tower at 750 tons were, after the Grace Dieu, the next largest ships. In 1415 Henry sailed aboard his flagship the Trinity Royal of 540 tons. The vessel was designed to impress and it was lavishly painted in vermilion and gold and flew the king’s banners. As the king possessed only a small number of ships in order to transport large armies the crown relied on its prerogative to requisition English merchant ships. Occasionally, especially if the army was large, the crown would also hire ships from abroad, usually from ports situated in the Low Countries. In 1415 Henry hired approximately 250 ships from Holland and Zealand. For most of the Hundred Years War the sea coast of England was divided into two admiralties: the admiral of the north was in charge of all the ports located from the north bank of the Thames to Berwick; while the admiral of the West was responsible for the ports situated from the south bank of the Thames to Skinburness in Westmoreland, although for practical purposes the southern admiral tended to draw most of his ships and mariners from the ports located from Kent to Somerset. In 1415 Thomas Beaufort, Earl of Dorset, was sole admiral but the orders issued to arrest ships over 1415 make it clear the coast was divided into manageable sections for the purposes of requisition. The first process in assembling a fleet was the issue of a writ appointing officials through letters patent to requisition ships. Many of these writs can now be found in the Calendar of Patent Rolls, which are available online. Alternatively an order could be issued directly to the admirals. In March 1415 the Earl of Dorset was told to arrest all ships over twenty tons and have them at Southampton by 8 May. On visiting a port an official would take a written record of the name of the ship, the man who commanded it and the vessel’s home port. It was expected that the arrested ships would appear at the embarkation port on an agreed date. To guarantee their appearance at the port of embarkation crews were issued an advance on their wages. Mariners were paid 3d and shipmasters 6d per day, but in the 1370s wages were increased through the payment of a bonus called regard to 4d and 7d per day. Depending on the size of the army the process of assembling a fleet usually took between three and six months. In 1415 it took five to six months for the crown to requisition 650 ships for transport duties and fifty vessels for coastguard purposes. On arriving at the embarkation port the ships would be loaded with men, military equipment, foodstuffs and horses. In 1415 Henry’s fleet was stationed at several locations across Hampshire, but the bulk of the armada sat at anchor in Southampton Water (including Portsmouth) and Portchester. Shipping men and material was perhaps the easiest task. Loading and shipping horses was more complex. Not only did horses need more space aboard, but they also required water and food for the crossing. They were also expensive and so care had to be taken while moving them on and off the ships. The numbers of horses transported was vast. 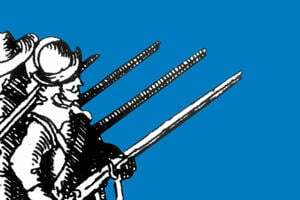 Each man-at-arms would bring at least two horses and by 1415 each archer one. In 1415, if we include the horses brought to pull the baggage, perhaps 20,000 horses were shipped with the army. We know ships were capable of moving this number of animals. 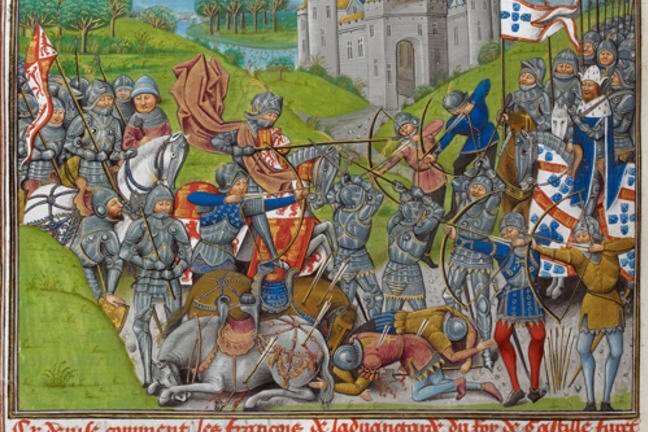 In 1375 eleven ships transported a total of 562 horses to Brittany for the Earl of Cambridge’s forces and in 1423 three ships transported seventy-seven horses for three members of John Mowbray’s retinue. It is likely that in 1415 the largest ships of the fleet were set aside specifically for transporting horses, perhaps some would have held as many as fifty. Ships had to be modified to freight horseflesh. This usually involved the construction of hurdles and stalls aboard the ships designated as horse transports. Once aboard horses were corralled in stalls and had slings placed under them to secure them against rough seas. Once the fleet arrived at the disembarkation point the task of unloading was started. The destination of the expedition had important implications for how the army was disembarked. If the army arrived in a port held by the English such as Calais or Bordeaux the speed of unloading was less important. In cases such as 1415 when the transport fleet landed in hostile territory it was important for the English to secure a beach-head to protect the troops as they disembarked. In 1415 when the fleet arrived outside Harfleur the king held a council of war and an order was issued telling no one to attempt a landing before the king, this was to ensure Henry was the first to step on French soil as a way of showing his right to that land. The following day the Earl of Huntingdon was sent from the fleet with a mounted patrol to reconnoitre the surrounding area. Once a beachhead was secured men and equipment were transferred from the ships using barges and other small craft. This was noted by one chronicle as taking three days. How horses were unloaded is a matter of continuing debate. If the fleet arrived at a port under English control horses would be transferred directly from the ships to quays. In 1415 however the English fleet arrived in enemy territory and horses could only have been unloaded by beaching the ships, building some temporary structure to facilitate unloading, swimming them from the ships to the shore or transferring them to smaller vessels by use of a sling, the latter method was favoured by British forces during the Gallipoli Campaign of the First World War. What are your thoughts after reading this article?